Invite your guests to celebrate your special day with an invitation that is sure to dazzle them! 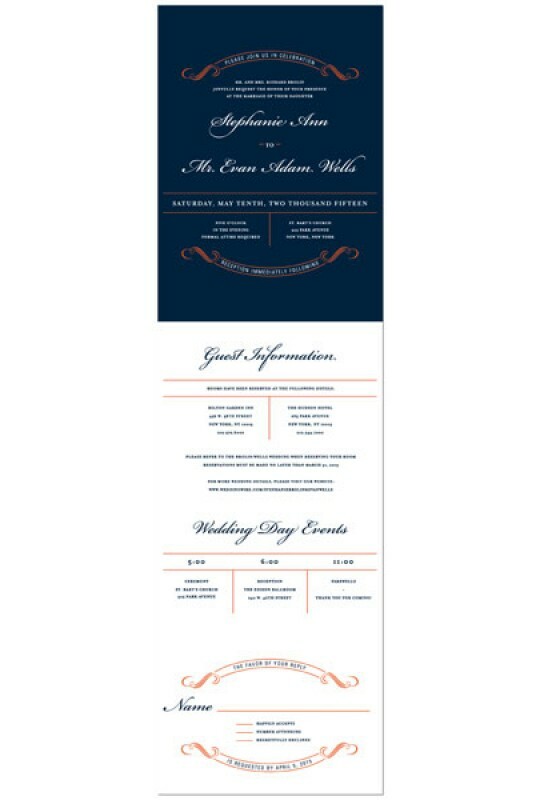 These new and modern All-In-One Wedding Invitations include all of your information in one easy piece! 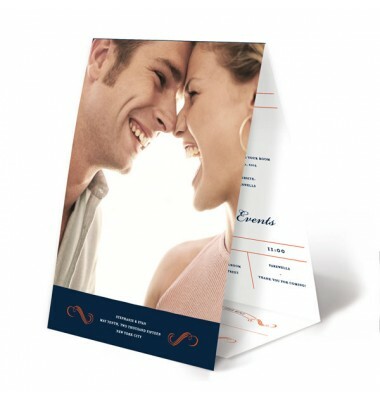 The All-In-One format includes a perforated response postcard. 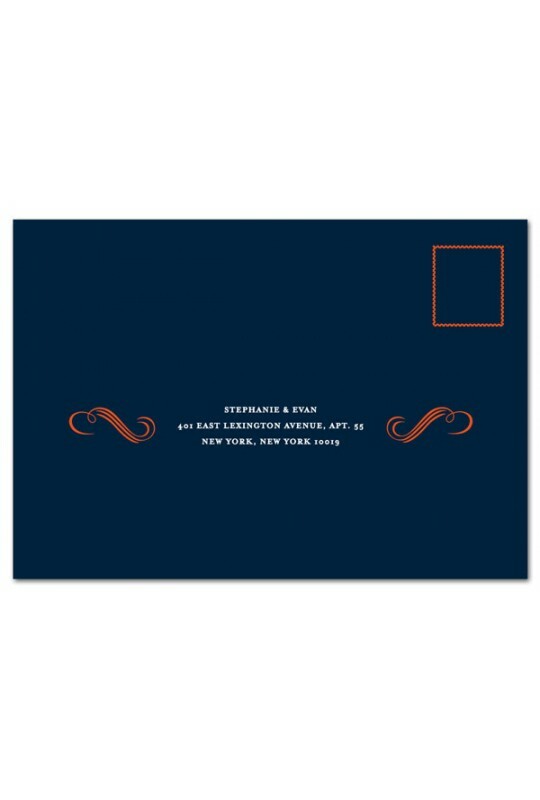 Guests simply fill out the card, tear it off the invitation, and stick it in the mail. No envelope needed for the RSVP! White envelopes are included. We suggest that you purchase a sample before ordering to ensure that this invitation meets your expectations. 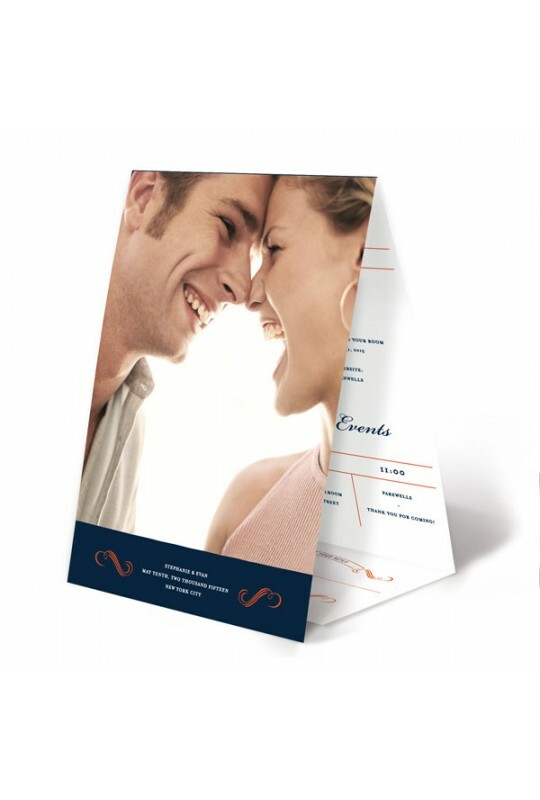 Invitation Junction’s Bridal consultants are always willing to answer any questions that you might have concerning your wedding invitations. Please contact us for help. 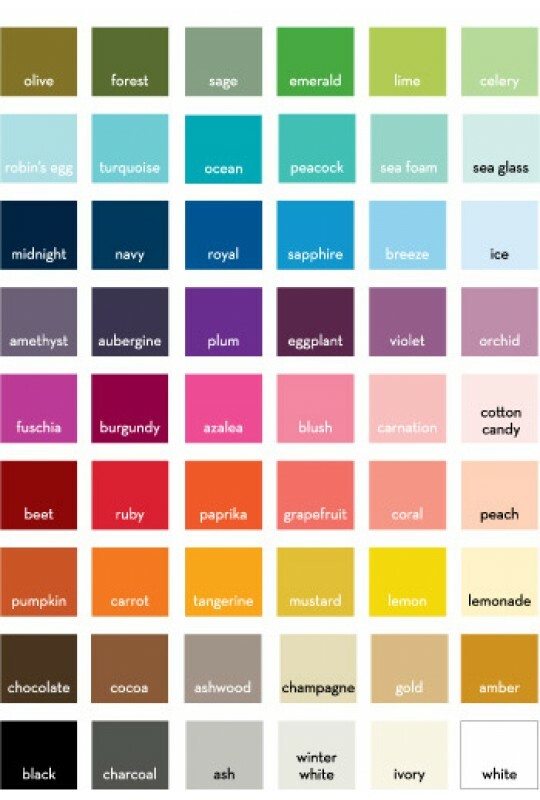 Color Options: Most of our designs are offered in several different colors (see color chart). You can request a color change by simply adding the colors to your wording in the wording box. There is no additional charge to do this. Turn around time: You will receive your proof within 24 business hours of submitting your order. The first proof is FREE; additional proofs are $10.00 each. Your order will ship within 5 business days after your proof approval is received.